I've not had lots of job interviews but I thought I'd share with you what I wore to the ones I have been on recently. Hopefully it will give you some inspiration if you need it. I'll show you mine and I'll find similar alternatives that you can buy! This is a little more expensive than the dress I've got but it's a lot better quality. It's cinched in at the waist and has a zip at the back. Sometimes I think it's hard to believe I wore this dress from Urban Outfitters to an interview. It's not just how bright it is, it actually has a massive cut out at the back. I got the job so I guess they liked me, and the dress! Sometimes wearing a bright dress makes an impression so if you want to be daring then take the risk. This dress was for an interview at Fat Face, and the overall style of Fat Face is wearing prints and being adventurous so I thought I'd take that on board. I probably wouldn't wear this dress in this colour but they have lots of different colours! It's probably better for a brunette to wear this, as my hair is quite light so I might look like the sun if I wore this bright dress too! I managed to get this dress in sale from Republic about a year ago. 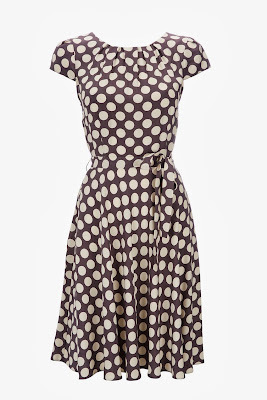 It's one of my favourite dresses because it combines lots of different styles - a collared dress with lace and polka dots! I absolutely love this dress! I think it was only £7 in the sale so that's a massive bargain! This is the only polka dot dress I own but I love that it's broken up by the lace at the top. 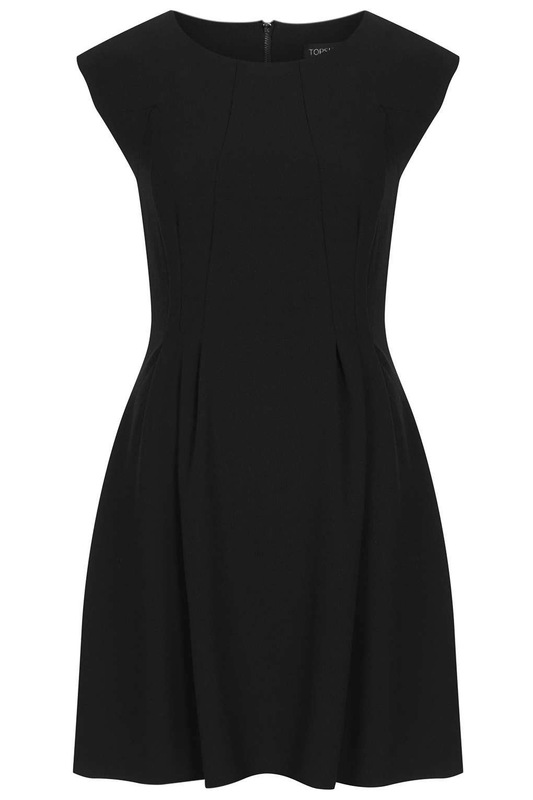 This dress from Wallis has a '60s vibe to it. It isn't very similar to my dress but I think you could definitely add accessories to this to "pretty it up" a bit. I hope this post helped if you're looking for inspiration on what to wear to a job interview. My one piece of advice would be to make sure you feel comfortable because you never know how long you'll be there and standing up in heels on public transport ages is tiring! This is such a handy posy, I had a job interview the other day and literally was standing there for at least 40 minutes deciding what to wear! Luckily I have the dress at the top, to make this post even more helpful!